The Montessori Adolescent Corps program is uniquely geared to serve the developmental needs of this age. Building upon the work of the Montessori Primary and Elementary levels, the character of the adolescent is actively recognized in a space where the physical, social, emotional, and intellectual environments are designed to support the growth of the emerging adult. In adolescence, the main need and focus is to learn how one can be part of the society by sharing thoughts and feelings with others, and by contributing to it in real and meaningful ways. As a result, contributions need to be recognized and put into a context where they can see concrete returns for their efforts. Adolescence is a very practical age when gains need to be recognized not just in terms of abstract academic marks on school assignments, but also in forms of recognition that adult society uses every day. The adolescent is also undergoing major physical and psychological changes as they begin to acquire their adult personality while transitioning from childhood. Opportunities for creativity, risk-taking, intellectual abstraction, and a healthy emotional setting help them understand who they are in context of their world. This age needs guidance from prudent, well-educated adults with a great love of the adolescent personality and intellect, and appreciation for their unique development. The classroom structure offers a rigorous, responsive curriculum guided by a core teaching team and a range of specialist teachers, multi-aged grouping of 12-15 year-olds, large blocks of learning time, and peer and cross-age teaching. The adults in the program actively nurture the adolescent intellectual, social, and physical need to become independent functioning members of adult society. Parent-teacher-student relationships are fostered as partnerships. Conferences between the teachers, the adolescent, and parents are one way in which these partnerships are developed and cultivated. The adolescent course of study is based in the classic liberal arts. State standards and district expectations are included in the interdisciplinary themes, study skills and strategies, personal learning plans, mastery, coaching and exploratory activities, individual, small-group, and whole-group learning experiences. The middle school educational syllabus is an integrated two-year curriculum. Over the two-year cycle, students investigate the broad tapestry of human achievement with specific study on the constructs of human societies, scientific discoveries, geographic explorations, and relations of humans to the environment. They explore the relationship between humans and the natural world and the responsibility for sustaining the health of the planet. Across the curriculum, work that meets the adolescent need for social interaction is coupled with activities that foster independence. Some of these elemental studies include a micro-economy (running a business to participate in the adult economy), responsibility for the built and natural environments, expanded definition of physical education to include health, outdoor experiences, participation in sports, learning based in the care and respect of one’s self, and activities of practical life. Science and math are the foundation for discovery and invention, so competence and conceptual understanding of these subjects is necessary to express one’s self in society and adult work. 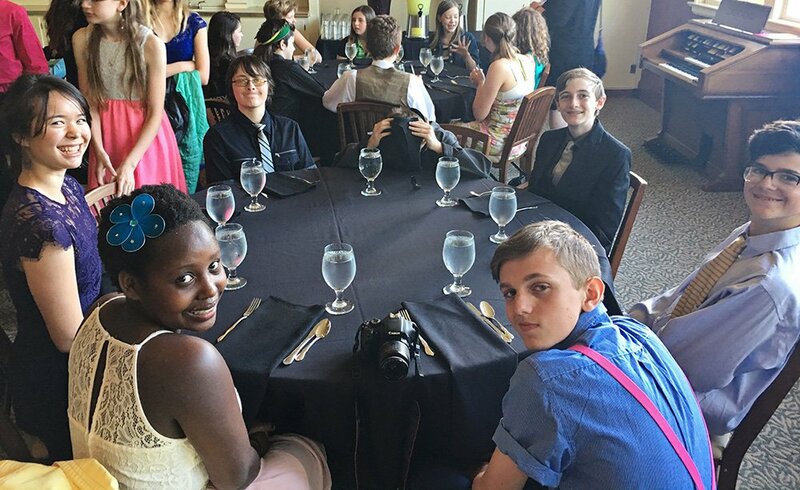 The Montessori adolescent program is designed to be a real life experience of building community. Activities in academics and in the classroom environment call upon the adolescent’s need to see academics have a purpose. They work toward, and actively participate in group endeavors that benefit both the whole school community and the people in it (elementary and primary, adults and neighbors). The end result is that the adolescents become deeply invested in what they do; whether it is academic projects, day to day tasks and events in their school community, or the opportunities for outreach that take them from the classroom. Through these avenues, they learn to direct their developing skills toward a wider society where they feel they are valued and can make a worthwhile contribution. These experiences foster care for themselves as people, care for others, and care for the environment. Rigorous and well-supported academic course work that is interdisciplinary in nature and with a variety of formats such as group projects, lectures, seminars, and individual study to encourage the adolescent learner to take greater responsibility for their own learning. 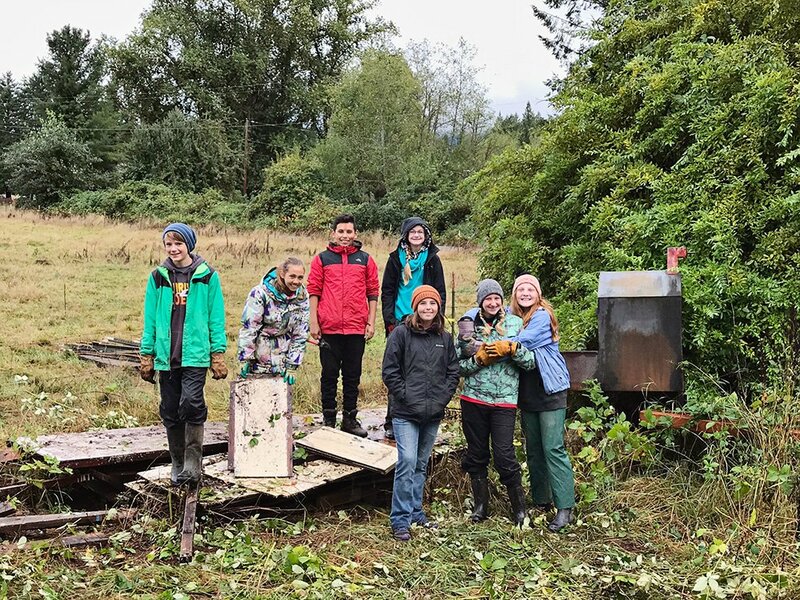 Regular connection to the outdoor landscape through academic and community activities so that students are made aware of the relationship they have with the natural environment through their actions and thoughts. The continuous relationship that adolescent life has with the natural world serves as a point of departure for students’ actions and a measuring stick by which they can gauge change during the school year. Instructors as mentors who teach a variety of subjects and work with adolescents in a variety of roles and learning formats and share close advising and tutoring relationships with adolescents throughout the school day and school sponsored activities. Small group work where the student to instructor ratio is kept as small as possible at most times to encourage mutual respect and the mentoring relationship between adults and students. The adolescent community works in a limited communal space (but adequate physical space to meet their growing size needs) and spends a great deal of time and energy in fostering a community spirit within the confines of the group. Community responsibilities and real life work opportunities such as: contributing to communal meals, maintaining and cleaning the learning environment, design and operation of a small business; call for the adolescent to use skills and knowledge learned in academic areas in real life situations. 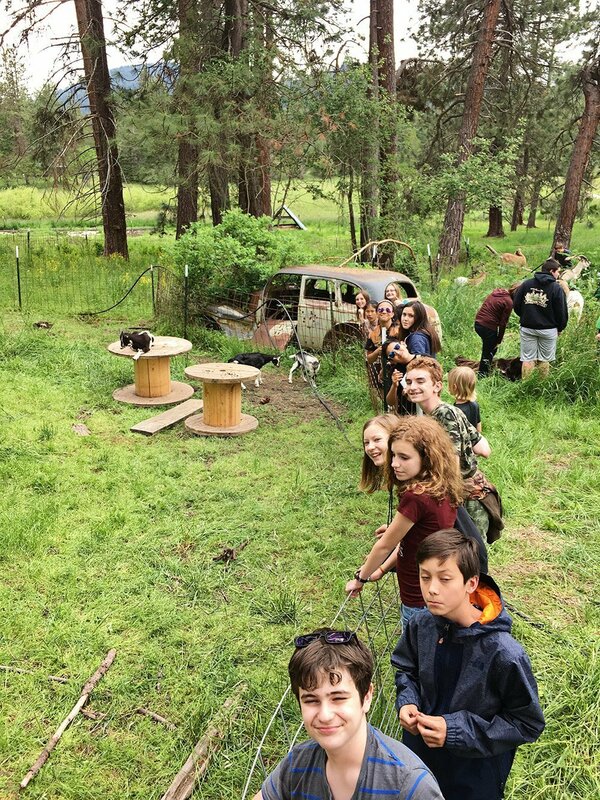 (A minimum of) Two Annual Week-long Expeditions that call upon adolescents to be away from the comforts of home and to live and work communally with their peers and mentors in a variety of learning environments. Regular guided group forums for discussion and sharing of ideas to enable students to have a voice on how to solve problems and appreciate the subtleties and challenges of learning and working as individuals in a group. Emphasis on self-expressions skills and culture in music, art, writing, and drama to encourage students to find a variety of creative avenues to think creatively and express themselves and their ideas to others and to themselves.